The list of popular retailers who are finally shifting gears and joining the human race is steadily growing. White House Black Market now offers plus sizes! The news dropped last week on their social media and already people are excited about being able to order their clothing in larger sizes. I went to the website to see some of the offerings and I really like what I see. White House Black Market was always a store that my mother- who has been small all of her life, could shop in and she always felt good in their quality clothing. 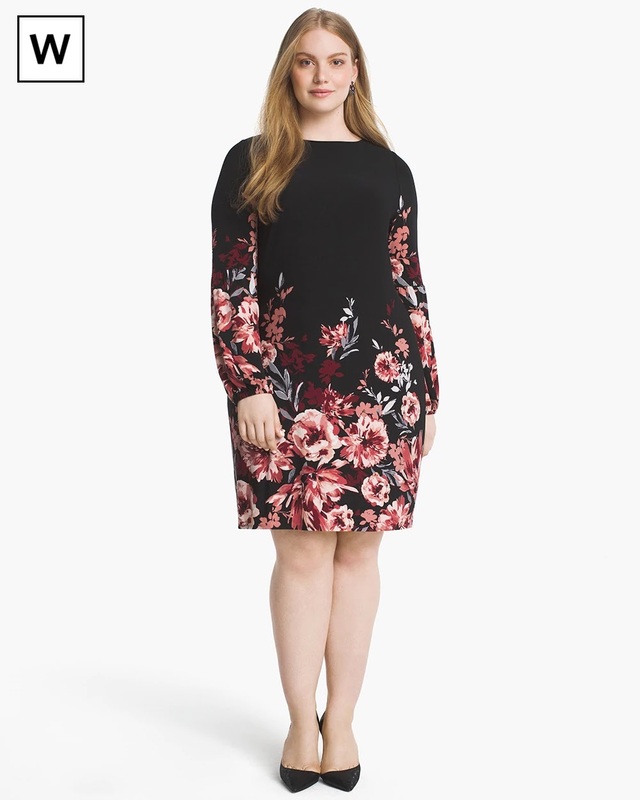 It's so wonderful that trusted retailers- especially those that are known for good, sturdy, well-constructed pieces are joining the ranks and making their clothing available in plus sizes. White House Black Market plus pieces go up to a size 24W and are only available online for now. If you're worried about the price, sign up for their mailing list! That's the best way to find out about sales & drastic clearances, plus you get 10% off a future purchase just for signing up. That's a great way to build your wardrobe with quality pieces that you otherwise might not be able to afford. Do you see anything that you like? What straight size retailer do you wish would go plus?